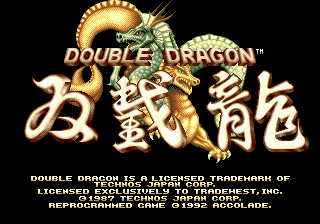 Double Dragon follows the story of Billy and Jimmy Lee, two brothers who are martial artists known as the Double Dragons, and battle against a gang known as the Shadow Warrios. 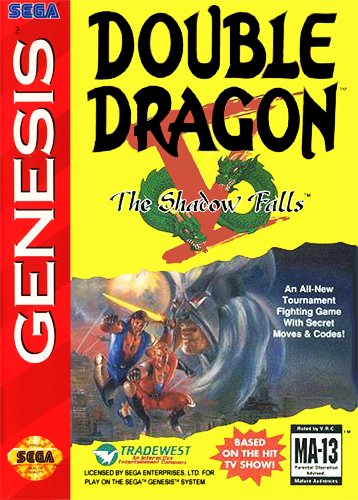 When the Shadow Warriors kidnap Billy;s girlfriend, Marian, it is up to the Double Dragons to save her. Players fight their way though an assortment of enemies, each with their own attack style, using martial arts moves and whatever weapons come to hand--rocks, bats, knives, even dynamite! 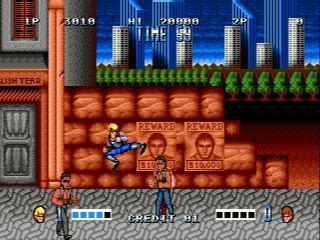 The game can be played by one player as Billy, or team up with a second player as Jimmy and fight together (but be careful--you can also hurt each other). Battle through four stages--streets, factory, forest, and enemy base. 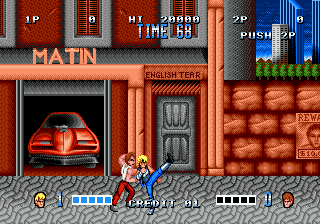 Defeat Willy, the gun-wielding leader of the Shadow Warriors, and Marian is saved. If two players reach the end, they must then battle it out to see who gets the girl.